Home / Stock Picks / Stocks to Buy / BlackBerry Ltd (BBRY) Is the Next Nvidia Corporation (NVDA). What? BlackBerry Ltd (BBRY) Is the Next Nvidia Corporation (NVDA). What? Citron Research isn't crazy. BBRY stock still has loads of upside even if it never quite achieves what Nvidia has. Shares of BlackBerry Ltd (NASDAQ:BBRY) are catching some wind Thursday, climbing 9% with little sign of slowing down. What has BBRY stock moving on the day is a report out by Citron Research questioning whether BlackBerry could be the next Nvidia Corporation (NASDAQ:NVDA). Citron Research — known for its brazen short-based research — is actually issuing positive research notes. Wondering if BlackBerry is the next Nvidia is a pretty big thought. Even if BBRY were to fall short of NVDA’s lofty achievements, it would be doing pretty well for itself. At first, the comparison sounds ridiculous. But why would Citron Research risk its reputation just to make the headlines? It reasonably points out that NVDA stock has gone from a $5 billion enterprise value to $85 billion in the past two years, even though sales have only doubled. Doubling sales is impressive, but not so impressive that it alone validates a 17-fold increase in enterprise value. So what caused Nvidia to skyrocket by 550%? Basically, a giant re-rating by Wall Street. Analysts and investors began noticing Nvidia’s repositioning. NVDA was no longer focused on low-margin chips. Instead, it was shifting its attention to high-end gaming, self-driving cars, the cloud, data centers and deep learning/artificial intelligence. Along with higher margins came intense revenue growth. Despite higher expectations, Nvidia stock continues to soar as it has beaten earnings and revenue estimates for the past seven quarters. In total, Nvidia has topped EPS estimates by almost 40% in the span! 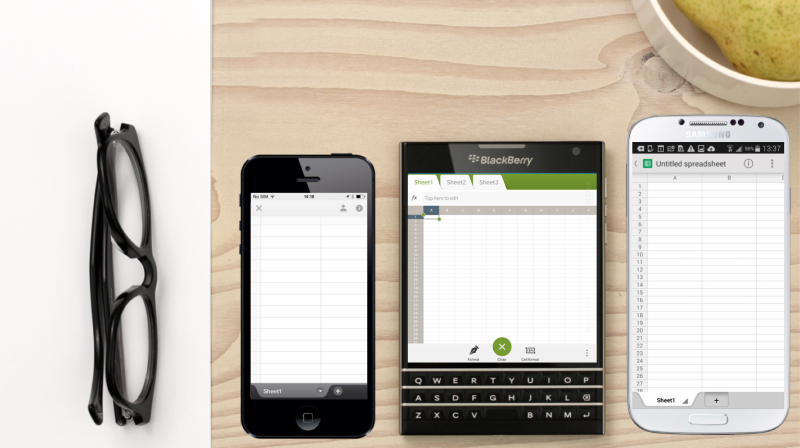 Where Does BlackBerry Fit In? OK, so we get Nvidia’s story. The company changed up its business, was viewed differently by Wall Street and its stock soared. How is BBRY stock in the same boat? BlackBerry will never regain the smartphone crown it wore during its glory days. Apple Inc. (NASDAQ:AAPL) came in with the iPhone and completely through the market into disarray. The rest is history. But BBRY has made some important changes. For starters, it stopped making hardware. Instead, its licensing the software inside. This is great news for a company that is purging expenses and focusing on margins. BlackBerry also has a focus on securing autonomous cars. This one’s a biggie. Its QNX platform “is at the forefront of securing cars for autonomous driving technology,” in the words of Citron. They also point out — correctly I might add — that if BlackBerry’s technology is the best, it will win in the autonomous-driving era because it won’t matter what platform it’s operating on. Put simply, even if Ford Motor Company (NYSE:F), General Motors Company (NYSE:GM), Alphabet’s (NASDAQ:GOOGL) Waymo and others all use their own self-driving platform, they all can still use BlackBerry’s QNX to secure it. If that’s the case, BlackBerry wins. Big. So if you believe in the story, there could be a ton of upside in the stock. BlackBerry has lost money for at least four years straight. Revenues have declined each year as well. However, last quarter had promise. BBRY beat revenues for the first time in five quarters. When it comes to net income, BlackBerry “only” lost $47 million last quarter, its smallest loss over the past five quarters. On an earnings basis, BlackBerry has had flat or positive earnings per share over the past four quarters (all beats). That may seem unimpressive, but believe me — for a serial disappointment like BBRY, it’s good. Profit margins are almost back to breakeven too. A lot must go right for BBRY stock. But the company is making positive changes and positioning itself in strong growth markets. Not unlike Nvidia a few years ago. It won’t be like Nvidia exactly, but BlackBerry’s got a solid blueprint to follow. Estimates aren’t too strong for 2017, but if the company comes out of the year well positioned, its stock can continue to rally. A pullback below $10 should capture the interest of speculative investors. Bret Kenwell is the manager and author of Future Blue Chips and is on Twitter at @BretKenwell. As of this writing, Bret Kenwell did not hold a position in any of the aforementioned securities. Article printed from InvestorPlace Media, https://investorplace.com/2017/06/blackberry-ltd-bbry-is-the-next-nvidia-corporation-nvda-what/.